In the future, everyone will have their own drone. Sounds a bit wacky, but if you told the computer scientists working on the Cray-1 supercomputer in the late sixties and early seventies when I was wearing diapers, that in the future, this baby would be walking around with several devices more powerful than the Cray-1 in his pocket, they might have thought you were wack. Well, today anyone carrying a modern smart phone is doing just that. This week in the New York Observer (July 1-8, 2013), there is an article on the front page called “Rise of the Machines” with the subtitles “It’s a Bird, It’s a Plane, It’s … an Unmanned Aerial Vehicle!” and “Does NYC have a drone problem?” by Jordan Valinsky. I couldn’t find it online, so maybe it is just available in print. But in this article, Valinsky describes a journalist covering the Occupy Wall Street protests using a smartphone. Once the police began blocking his view and the number of people made is coverage difficult, he wished for a higher vantage point. Enter the personal drone, available on Amazon for under three hundred dollars. He buys it and rigs it with a video cam and voila, he now can publish uninterrupted coverage of the event. 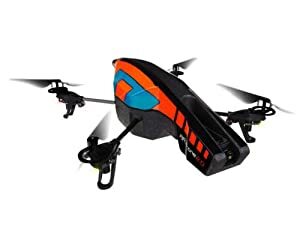 So now that these drones are so cheep, people are going to start using them to watch their kids, check on soccer game from work, and peek into their neighbors back yard to find out what all that noise is. Google Street Cars at least can’t peer into your third story window, but a drone can. Imagine brushing your teeth on the 4th floor and having a drone buzz by to check on what you are doing? Please comment. I want to know your thoughts on this matter.